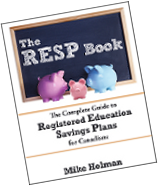 Hi Mike…How can I find a lost vested pension when I don’t know who the RRSP account was with? I worked at Company A until 1993 and my pension was vested after 5 years. Company A was 51% owned by Company B, who have not been much help, and has since been sold to Company C, who has also not been much help. I have left messages with no call backs. When I left the company in 1993, payroll handed me ( a very much younger, stupider version of me) a big envelope full of documents and told me my pension was invested in an RRSP until I turn 65 and I didn’t have to “move it” then. I could leave it with them and “move it” when I wanted to. The years have flown by, I’ve moved a few times, and now I’m in my 50’s, the company is no more, and I have tried a few avenues to find this without much luck. I have tried the Bank of Canada, the Securities Commission of Ontario and the insurance carrier I remember dealing with then, who also has no record. I didn’t think this task would be so difficult. Any wonderful suggestions I haven’t thought of, or phone numbers, web sites, etc. you can think of? What kind of retirement account is she talking about? Sandra worked for an employer that provided a defined benefit (DB) pension plan. This is the type of pension where usually both the employee and employer make regular contributions to the pension plan on behalf of the worker. Once the employee reaches retirement age, the pension plan will start making regular pension payments to the retired worker until they die. If an employee contributes to a defined benefit pension plan for a short time and then leaves the company, at a minimum they will have their “pension credits” or the value of the contributions transferred to a locked-in retirement account, otherwise known as a LIRA. It’s also possible that they could leave the money in the pension plan and then collect a reduced pension once they reach retirement age. Every defined benefit pension plan and locked-in retirement account is regulated according to either a provincial or a federal pension standard regulator. In Sandra’s case, she worked in Ontario and the pension plan was regulated by the Ontario regulator. The Financial Services Commission of Ontario (FSCO) is the government body that looks after pensions in Ontario. They have records of every pension regulated by Ontario, even if the pension plan no longer exists, as was the case with Sandra’s. If you have any information about the original company, they should be able to tell you who was responsible for that pension plan and can provide contact information for the pension administrator or custodian. I called the FSCO at 1-800-668-0128 and asked if they knew who the pension administrators for Company A (the company Sandra worked for) were. They were able to tell me the company name of the current administrators of the pension (which turned out to be Company C) and gave me the name and phone number of the administrator. I called the pension administrator’s number and left a message which was returned the same day. The pension administrator I talked to was able to confirm that Sandra was in their system and gave me the name and phone number of the financial institution where her LIRA was being held. I gave the financial institution information to Sandra and she was able to call and regain access to the retirement account which had a value of approximately $24,000. At this point in the article, you might think I’m some kind of lost retirement account expert and was able to find Sandra’s account without any difficulty. In actual fact, there were a number of other things I tried as well. Call around – In one of her emails, Sandra had asked if the CRA would be able to help. I wasn’t sure if they would help, but my first phone call was to the CRA tax line 1-800-959-5525. I knew they wouldn’t know where the missing account was located, but I hoped they would point in the right direction. They transferred me to the CRA RRSP division and the person there told me to call the FSCO. THE FSCO ended up being the correct starting point for this mission. Call the pension administrators of all the companies involved – Before I heard back from the pension admin from Company C, I also called the pension administrators from Company B. They couldn’t tell me anything due to privacy concerns, but had Company C not come through with the correct information, I would have had Sandra call the Company B pension admin to see if they knew anything. Google the company/industry – This might help find related companies or in the case where you only know the industry, you might get some ideas about companies to try. Call every financial institution – A last-ditch suggestion is to start calling financial companies that might have the missing retirement account and hope for the best. Start with the big insurance companies and big banks and see what happens. Make sure you tell the whole story to whoever will listen and you might pick up some good advice along the way. The Office of the Superintendent of Financials Institutions Canada (OFSI) financial institutions list is a good place to start. What if I don’t know the company name? If you are involved with an estate and you don’t even know the name of the company that the deceased person worked for, I would suggest calling the CRA and pension standard regulators anyway and see if they come up with any ideas. If you know where the person lived or what type of industry they worked in – that information might be used to narrow down the search a little bit. Note that financial institutions cannot give any kind of information about a client to anyone who is not the client. If you are trying to locate an account as part of an estate, get ready for a whole pile of hassle because of this. The pension administrators of Company C shouldn’t have verified with me that Sandra was in their pension system because of these privacy rules. Had they not told me where her retirement account was located, I would have just given the contact information to Sandra and she could have still gotten the information. One of the problems with trying to find a financial account is that if you aren’t using the right terminology, the people who can help you might not realize what you are talking about. There isn’t much you can do about your financial lingo, but one suggestion is to tell the person the whole story. In Sandra’s case, her first email was fairly short and just talked about a lost vested pension and a RRSP account. I have no idea what a “vested pension” is and as it turns out, there never was an RRSP account. However, I had a suspicion that she might be talking about DB pension that was transferred to a LIRA. I asked for more details and when she explained the whole story, it was very clear she was looking for a LIRA. A LIRA is similar to an RRSP account in that it is tax sheltered. However, no contributions can be made to the account and withdrawals aren’t normally allowed either. For information on how to access money in a LIRA – please read How to Unlock An Ontario Locked-In Retirement account. The article is still relevant for LIRAs not regulated by Ontario and has links to further information regardless of where the account is regulated. I wonder how many people lose money like this. Something similar happened to a friend of mine who was in the labourer’s union. He switched over to the carpenter’s union then the company that administered his old union plan changed and he could no longer get information. I’ll bet there’s billions sitting around that people can’t find or have lost track of. Let’s say you work for a while with a company in your twenties then leave. By the time you’re 65 and ready to retire this small amount could be a large one but as your example illustrates not easy to find. Hi Rachelle – I don’t know how much money is in lost accounts. I had assumed that most “lost” accounts were part of estates, where the executor didn’t know about the account. But you bring up a good point that there could be a lot of situations where you have a younger worker changing jobs and not keeping up with the pension. In some cases, they might not even be aware that they ever participated in a pension plan. What a great story. I was in the same state of mind years ago, and just said show me the money, paid the taxes and walked. This is a great read and one story I’ll save. I hope Sandra has purchased a copy of your book. Your an amazing person. @Lawrence – My finders fee is one half of the retirement account, so no worries about book buying. p.s. – I’m kidding about the fee. I am kinda curious as to why you didn’t know what a vested pension was? Are you saying that you didn’t understand that terminology, which is a widely used and standard term? Hi Mike Holman, My name is Brian Jack, and live in Saskatoon, Saskatchewan, Canada. I worked for the Codville co in Saskatoon in the early 1980’s. this is a grocery warehouse, owned by the Oshawa group Ltd. And supplied groceries to the I.G.A. stores in Saskatchewan. When I first started I put some money, weekly , through the payroll deductions account at Codvilles into a registered RRSP account. The money went from Codvilles Co. in Saskatoon to National Trust, under the Oshawa group. On June 25 th 1999 $25,700.84 was transferred to Laurentian Bank into a locked in RRSP under Saskatchewan jurisdiction. Sobey’s purchased the Oshawa group and then closed down the warehouse in Saskatoon , and move the operation to Edmonton under the new name of Sobey’s. Sobey’s found the total of the RRSP payroll deduction,$25,700.84 and told me to contact the Laurentian Bank and tell them my story and that they would likely arrange the transfer of the monies to an account here in Saskatoon. Problem I am having is that the Laurentian Bank is telling me that this lost RRSP payroll deduction money is Sobey’s are the ones to help me out because they are responsible for managing their plan.It really wouldn’t be up to the end plan provider as the companies are the ones that handle their own pension rules/ administration and requirements when plans merge. Sobey’s is also telling me that it is up to the Financial Co, that received the payroll deductions to follow it up and send me the total RRSP payroll deductions from the beginning and the interest to date. Can you help me Mr. Holman find my lost locked in RRSP. Hi Mike Holman, my name is Brian Jack, And live in Saskatoon, Saskatchewan, Canada. I worked for the Colville Co. in Saskatoon in thr early 1980,s.this was a grocery warehouse, owned by the Oshawa Group Ltd. and supplied groceries to the L.G.A. stores in Saskatchewan. 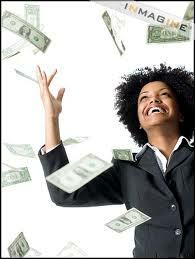 When I first started deposited money, weekly, through the payroll account ay Codvilles into a locked in RRSP account. The money went from Codvilles Co, in Saskatoon to National Trust, under the Oshawa group. On June 25th 1999 $25700.94 was transferred to Laurention Bank into a locked in RRSPunder Saskatchewan jurisdiction. Sobeys purchased the Oshawa Group and then closed down the warehouse in Saskatoon, and moved the operation to Edmonton, Alberta under the new name Sobeys. Sobeys found the total of the RRSP payroll deduction $25,700.84.and told me to contact the Laurention Bank and ton tell them my story and they would likely arrange the transfer of the monies to an account here in Saskatoon for me. Problem I am having is the Laurention Bank is telling me that this lost RRSP payroll deduction money is with Sobeys and they are the ones to help me out because they are responsible for managing their plan. It really wouldn’t be up to the end to the end plan provider as the companies are the ones that handle their own Pension rules/ administration and requirements when plans merge. Sobeys is also telling me that it is up to the Financial Co, that received the payroll deductions to follow it up and send me the total RRSP payroll deductions from the beginning and the interest, to date.